Wellbeing of Women is a charity dedicated to improving the health of women and babies through research, training and education. My ‘Wellbeing of Women’ ‘journey’ actually started at Lords Cricket Ground in a chance meeting with Sir Victor Blank whose interest in cricket far surpassed mine. 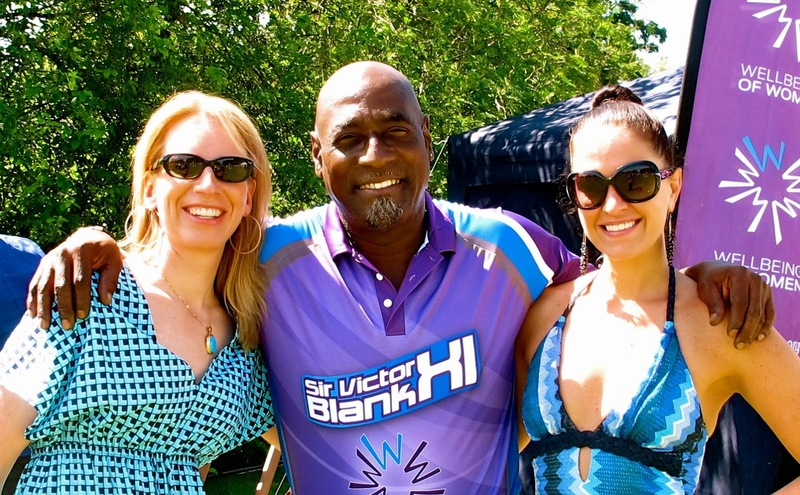 My friend Laura, (better known as DJ Lora) was due to dj at a celebrity cricket match hosted by Sir Victor and his wife Sylvia, in support of Wellbeing of Women the following weekend. Sir Victor’s commitment for the charity was apparent and I knew that someone with his life experience would not speak so passionately about a charity unless it was straight ‘from the heart’ so to speak..! And, up until that point, a statistic that I could certainly relate to – many women remain embarrassed to talk about these types of health problems, even with their doctors. Wellbeing of Women encourages women to take more interest in their own health. From a personal perspective this was something I certainly could relate to. Whilst I generally lead quite an active lifestyle through my passion for high-altitude outdoor pursuits, I must confess that I have been far from an epitome of wellbeing when it has come to taking care of and/or prioritising my own health (my mother and others who know me well will whole heartedly agree!). I’ve since made efforts to improve this through my diet, exercise and seeing specialists on a more regular basis. I’m living proof that the more that women know about their own health, their bodies and the issues that affect women, the more they can do about it. Amongst other things, Wellbeing of Women has also made me appreciate my mother, my sister and gorgeous baby nieces and nephews even more and the wonderful care that they have received since the day their imminent arrival into the family was announced. They truly are a miracle of life and I feel so tremendously blessed to be able to enjoy them and watch them grow up. Since it was founded 50 years ago, Wellbeing of Women has, through the generous support from its donors, invested in research projects and allocated funds towards the training of doctors and midwives. In March 2013, a few months after that meeting at Lords, I learned that Wellbeing of Women had launched a major new partnership with PwC - the company that I have worked for the past 4.5 years. The firm’s message and alignment was clear. Almost half of PwC’s 17,000 people are women and their wellbeing and the wellbeing of their families and friends, is very important. The partnership with Wellbeing of Women also supported a number of PwC initiatives including the ‘Zest for Life’ health campaign which covers issues such as healthy eating, living, fitness and work-life balance. In 2013 PwC broadened and increased their support of the charity, by supporting two Wellbeing of Women funded researchers – Dr. Vanitha Sivalingam and Dr. Leo Gurney – who are investigating a new treatment for womb cancer and developing new treatments for premature birth respectively. I'm proud to work for a firm that supports such a worthwhile cause that covers all aspects of a woman's health and wellbeing. When not working at PwC, I spend a lot of time either on expeditions, training for expeditions or planning expeditions… Until now, these have always been for my own personal climbing projects which have included some of the highest mountains in the world including Everest, Makalu and Lhotse, 3 eight-thousand meter peaks in Nepal. Interestingly mountaineering, especially 8000m peaks, is a male-dominated pursuit. There are various reasons for this which fall outside this scope and would, perhaps be the topic of another blog..! Out of the circa 4000people who have summited Everest only circa 335 are women. Given the amount of time I spend on expeditions dominated by men, I thought that it would be great to organise an expedition for women in support of a cause for women. My thoughts immediately drifted to a mountain that I climbed in 2010 - Kilimanjaro..! Mount Kilimanjaro is extremely well known for being one of the magnificent mountains in the world. 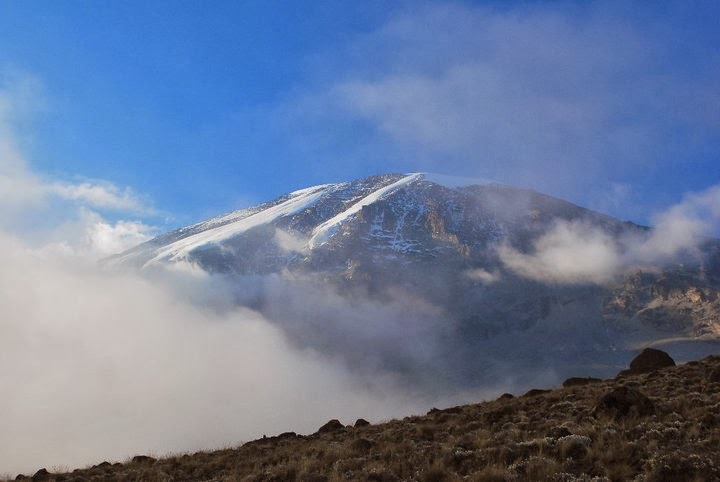 Located in Tanzania, the mountain stands 5,895 meters (19,341 feet) above sea level and is the highest in Africa. 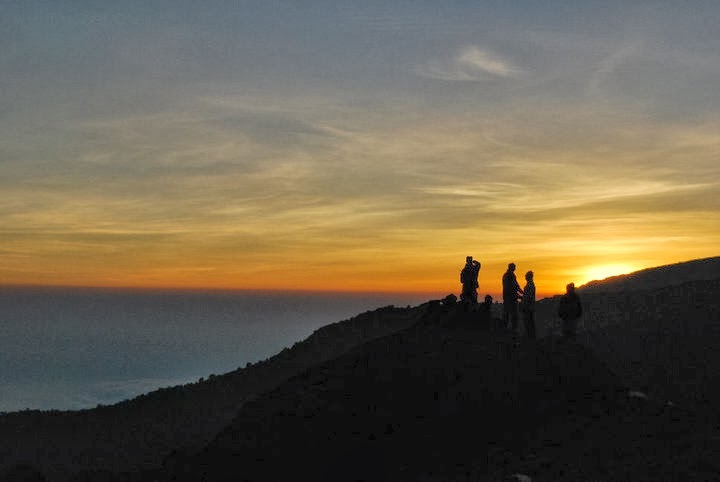 Due to its stature and design, Kilimanjaro has become a premier hiking destination for athletes, thrill seekers, celebrities and more. On March 1st 2014, internationally-renowned show queen, DJ Lora, intends to make history as the first person to play the deks from the summit of Mount Kilimanjaro. 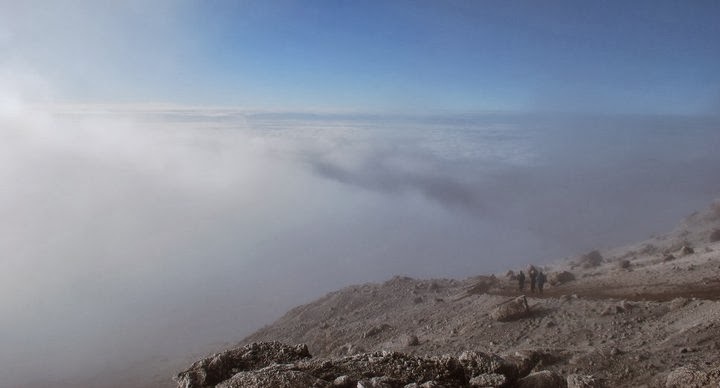 Her crowning moment will conclude a challenging six-day ascent of Kilimanjaro in which she will be joined by a team of women, with all funds raised being generously donated to health charity Wellbeing of Women. Lora also plans on playing a host of impromptu parties as she and her climbing team trek through the villages on the mountain's lower plains. 'I wanted to do a climb with a difference that would potentially give our benefitting charity, Wellbeing of Women, a special and different fund-raising event. I was struggling to think of something truly original when it dawned on me that a fantastic way to celebrate the climb would be to play my decks live - along the route - and arrival at the summit.